This time last year I was lying in a tent at 6400m at Advanced Base Camp on the north side of Everest, listening to a deafening wind pound against the nylon beside my head. I had very little appetite and an intermittent headache, and when the sun dropped behind the northeast ridge of Changtse, which towered above camp, the temperature was positively Arctic. Those of you who have fallen asleep drunk leaning against a speaker at a party and woken up lying outside naked on a cold patio, will only have some idea of what it felt like. I spent several days there, and it was one of the harshest places I’ve ever been, but as I became better acclimatised I gradually found it more comfortable. The last night I spent there was on my way down from the summit. I was utterly exhausted, but I had just completed an unbelievable experience, and a great sense of achievement was beginning to mingle with a profound joy and relief at being alive. When I set off the following morning on the last stretch back to Base Camp over the rough terrain of the East Rongbuk Glacier, I was glad to be leaving, but one year on I miss the place a great deal, and have many happy memories of it. Every April and May a few hundred people seek to share my experience by trying to climb Everest. Not so long ago we would find out very little about these expeditions until a few months later, when a handful of the participants published their accounts as books or journal articles. Now, thanks to the miracle of modern communications, it’s possible to watch from the sidelines, which is precisely what I’ve been doing over the last two or three weeks. 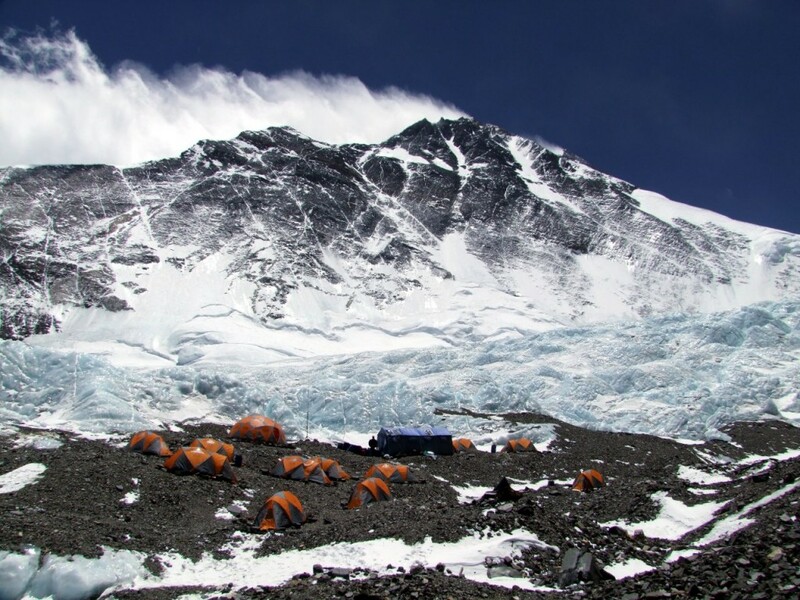 Most commercial expedition operators publish expedition dispatches on their websites, and many individual climbers keep blogs which they are able to update regularly from base camp. There are also several websites which track all the goings-on and curate and edit content from blogs and dispatches. Probably the most popular website for expedition news is Explorersweb, which, as its name implies, publishes all sorts of adventure news including polar exploration, sailing and aviation, as well as mountaineering expeditions. It tends to favour news about elite and sponsored climbers or record attempts, but you can find links to posts by lesser climbers from time to time as well. The site has been around for a long time and although it has its critics, it also has a very loyal audience of regular readers. I noticed traffic to my own blog increased significantly when my posts were featured on their home page last year. A refreshing contrast to the sponsor-friendly Explorersweb is Alan Arnette’s Everest blog. A former commercial client who is a veteran of four Everest expeditions and reached the summit in 2011, Alan is a champion for the quiet majority of lesser climbers: those with full time jobs and a love of the mountains who were further back in the queue when Santa’s elves doled out the climbing talent. These are the people who have saved up for years and trained hard to realise their dream of climbing Everest, but often have an interesting story behind their motivation (Alan himself lost his mother to Alzheimer’s and is now an ambassador for those whose lives have been touched by the disease). While he includes the better known elite climbers in his Everest coverage, his real passion is the human stories of the lesser climbers, some of whom he profiled in a series of interviews on his blog in the run up to the Everest season. 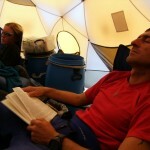 He publishes a daily summary of events on the mountain, with excerpts from climbers’ blogs and team dispatches. His Blog of the Day is regarded as the Piolet d’Or of Everest blogging, and my team mate Grant ‘Axe’ Rawlinson won it a few times last year, much to my envy (I have since made a full recovery and even exchange emails with Axe from time to time). Alan draws on his substantial experience of climbing Everest as a commercial client by describing the sorts of things first-time Everesters are likely to be feeling and experiencing from day to day, such as a trip through the ladders of the Khumbu Icefall or the fun of a puja. Another site worth following for UK readers is Colin Wallace’s Mount Everest The British Story, which summarises news collated from all expedition dispatches containing British climbers. This year the Everest season began with the tragic death of one of the icefall doctors, Mingma Sherpa. The icefall doctors are the great unsung heroes of expeditions to the south side of Everest. They are the Sherpas responsible for finding and maintaining the route through the Khumbu Icefall by fixing ropes and setting up aluminium ladders across crevasses. The Icefall is constantly on the move: crevasses open up and giant towers of ice collapse regularly. Maintaining the route is a full time job and extremely dangerous. Hundreds of climbers every year owe their success to the hard work and bravery of the icefall doctors, but these Sherpas are often forgotten about and don’t enjoy the prestige of those who accompany climbers to the summit. Since Mingma’s death news has been more positive. There is believed to be more snow on the mountain this year, which should make the routes safer and easier on both the north and south sides. By contrast there was much more rockfall last year, and there were many sections of blue ice which are harder to climb. I was surprised to find the Northeast Ridge more of a rock scramble than the snow plod you expect to find on big Himalayan peaks, and this made summit day mentally exhausting. It was extremely windy early on in the season, and this combined with the increased risk of avalanche and stonefall meant ropes were fixed much later in the season. 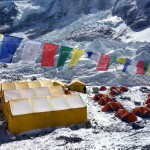 This also caused delays to the establishing and stocking of higher camps by Sherpa teams. This year rope fixing and load carrying is already more advanced and teams on both sides are now on their first rotations up the mountain. 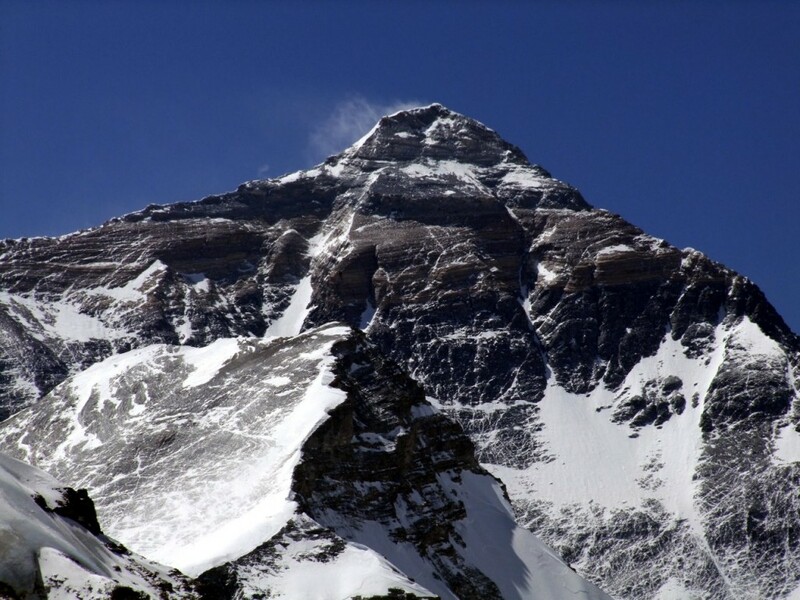 On the south side this means climbing through the Icefall and into the Western Cwm to begin the process of acclimatising in the higher camps, and on the north side it means trekking up the East Rongbuk Glacier to Advanced Base Camp and having a stab at climbing the North Col Wall. I have several friends on Everest this year, and my interest in the season has focused on teams with people I know. On the south side I was disappointed to hear my team mate last year Mila Mikhanovskaia, who was hoping to make an ascent without oxygen, departed early after reaching base camp and realising her heart wasn’t in it. By contrast another of my erstwhile team mates Margaret Watroba, known affectionately as Supergran, is still there on the north side climbing with Altitude Junkies. 63-year-old Margaret is on her fourth successive Everest expedition. She climbed from the south side in 2010 and 2011, reaching the summit on her second attempt. On the north side last year she was ill on summit day and turned around at the Third Step, the only one of us not to reach the summit. She is something of a local celebrity in Perth, Australia, where she lives, and in a move the Olympic rower Sir Steve Redgrave would be proud of, she returned to base camp and announced in a live radio interview that she would be retiring from mountaineering. Unlike Sir Steve she didn’t ask anyone who saw her putting on a crampon to shoot her, but her retirement proved equally premature, and she is back again this year more determined than ever to join the small band of people who have climbed Everest from both sides. I have been following the Altitude Junkies team quite closely. Having been on three 8000m peak expeditions with them I know many of the Sherpas, and expedition leader Phil Crampton is a good friend. Phil’s expedition dispatches, are worth reading. Short, pithy and to the point, there are peppered with his dry humour and dubious jokes. He includes anecdotes about members of the team, and this gives the dispatches a human touch and enables you to get to know them better. My father likes it when I climb with the Junkies because he can find out what I’m up to from Phil’s dispatches. When I climbed Cho Oyu with Jagged Globe a few years ago (who have a team on the south side this year), he complained that the only team members mentioned in dispatches were the celebrities, and when the team divided into two summit parties he didn’t know which one I was in! 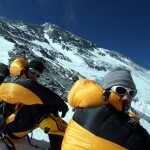 Also in the Junkies team is another old team mate of mine Robert Kay, whom I climbed Manaslu with a couple of years ago. Robert was one of the commercial clients interviewed by Alan Arnette in his introduction to the 2013 season, and the interview is worth a read as he’s a wise old Himalayan head who talks a lot of good sense but is not afraid to admit to mistakes (the bald heads are often the wisest, I find). On Manaslu he took his skis to the summit hoping to ski back down, but found it extremely hard and concluded reaching the summit of an 8000er is hard enough without any gimmicks. He also used Viagra on his first Everest attempt, but admitted it didn’t help him to get up (the mountain, that is). 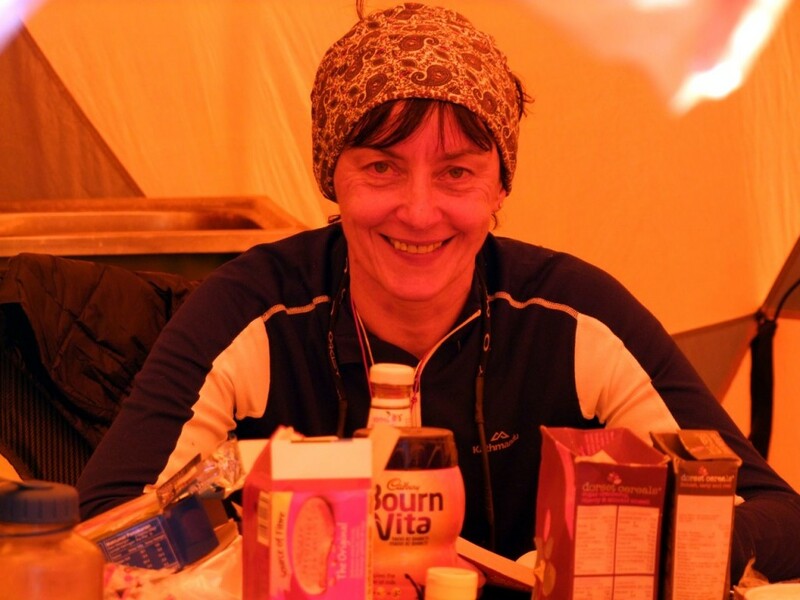 I should also give a shout out to Edita Nichols, who was catapulted around inside a tent when an avalanche struck her camp on Manaslu last year, but dusted herself off and went on to summit. She is aiming to be the first Lithuanian woman to climb Everest, and chose a novel way of preparing for her climb by reading my account of last year’s expedition, The Chomolungma Diaries, on her Kindle during the flight out to Nepal (yes, I know, I had to mention it didn’t I!). There is even a US memory champion, Nelson Dellis, on this year’s Junkies team. It’s unlikely his abilities will be improved by the long periods at extreme altitude, or indeed the large quantities of red wine and rakshi he is certain to have drunk at the Junkies’ puja. News will be quieter for the next few days while teams are in the higher camps and communications are more patchy, but there are sure to be some stirring stories emerging over the next month. Numbers on the mountain are reported as being similar to last year, when there were 800 climbers with summit permits on the south side (of which 335 were paying “westerners” and the rest Sherpas) and around 200 on the north side (with roughly a 50/50 split between Sherpas and westerners). This year there have been 315 summit permits issued to westerners on the south and around 100 on the north. Last year the weather was poor and there were only four days with suitable summit conditions, leading to congestion. 10 people died, but there were around 500 successful summits and 300 new summiteers. We are all hoping the mountain gods grant a longer summit window this year, which means the summit attempts can be spread out and conditions should be safer. Thanks Mark! I always enjoy reading your blogs. I am not a climber but live through my reading of others!I also enjoy your travel books about climing and have them all on my Kindle. They are a nice diversion after working all day. I know its a popular name, but was that the same Mingma Sherpa that joined us on Cho? He was an Everest 15-summit veteran IIRC and going for the outright title. If so I feel a bit hollowed out right now – a gentle, humble man and I treasure my brief conversation with him. 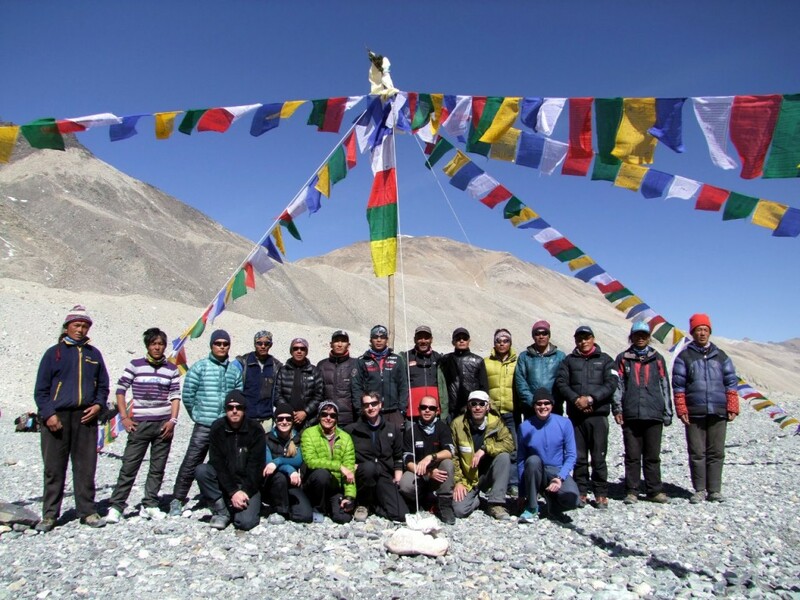 “This is to inform of the sad demise of Khumbu Ice fall Doctor Ang Nima Sherpa who was one of the oldest serving sherpa for the Mt.Everest – Khumbu Ice fall doctors. He died in his home village of Pangboche on the 25th January 2013 at 6:30 pm at the age of 59. The ‘Icefall Doctors’ are sherpas who set and maintain the safest path through the Icefall by laying down a series of ladders across the crevasses. The Icefall doctors are an integral part of every successful expedition to Mt. Everest, Lhotse and Mt. Nuptse. Every year , each climbing season, they stay on the mountain maintaining the route and making sure that the ladders and ropes remain in place to ensure safety of the climbers. It is an extremely dangerous job with hazards like avalanches, moving glaciers and tumbling seracs threatening them everyday. Hundreds of climbers rely on the ropes and ladders (used for crossing large crevasses) that these men set and would be unable to climb Mount Everest without their help. Ang Nima died peacefully at home. 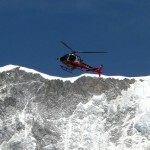 Mingma Sherpa died from a fall in the Khumbu Icefall early in the season. It was a different Mingma from the one who was on Cho with us, though I’m sure he was equally humble, as all Sherpas are. Thanks for another interesting post. This year I am following David Tait’s blog (he’s climbing on the south side) which I think is really worth a read. 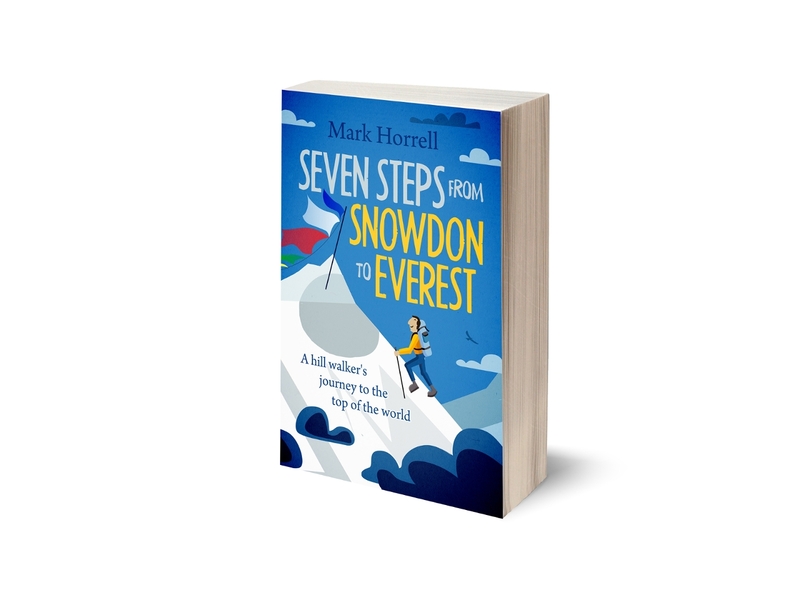 He writes well, and I simply have to love a guy who takes Shaun the Sheep up Everest! Thanks Mark for the kind words. You’re welcome – thank you for the fantastic coverage! This post gets my award for ‘Blog of the Day” Mr Horrell! Ah, I got it! The good nature of Sherpas is a characteristics of many Buddhists, yes? Remember Tashi, our guide…what a wonderful fellow!